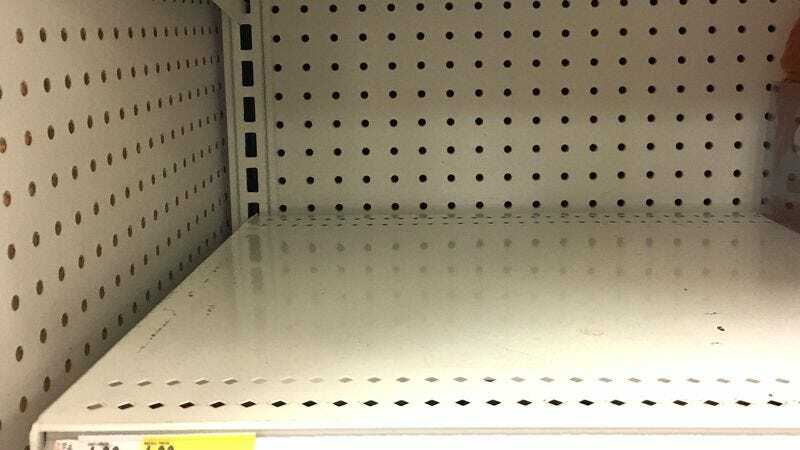 UTICA, NY—Unable to locate them on their usual shelf, local man George Rambart, 41, reported Thursday that the store was out of the good kind. “Aw man, they don’t have any,” said Rambart, adding that they had a bunch of the other ones, but those aren’t as good as the kind he always gets, which are much better. “I guess a lot of people also like the kind I like. Maybe if I go to another place, they’ll have them.” At press time, Rambart was even more disappointed upon learning that not only didn’t the other store have the good kind but the manufacturer had stopped making the good kind altogether.